Bots: they’re basically the worst. Some years back, I was invited to speak at a graduate seminar for plant scientists. I opened with a simple question: “How do you count the number of bees in a hive?” They all stared blankly at me waiting for the answer. “By counting the number of legs and dividing by six,” I said, beaming proudly. Unfortunately, the only person in the audience who laughed at my joke was my wife. That was my first lecture as a new entomologist. I realized two things that day. First, non-entomologists don’t find jokes about insects funny, and second, most people don’t care about insects. But like it or not, insects make up the greatest number of living organisms on the planet. The Smithsonian Institute estimates that there are nearly 10 quintillion (that’s a 10 followed by 18 zeros) individual insects alive at any moment. Insects live on every continent on the planet, including Antarctica. One insect genus (Halobates spp.) even lives in the open ocean. Green and blue bottles, house flies, mosquitoes (a fly, too) are perennial favorites at summer barbecues. We put up with bees and ants in our gardens. We even endure gnats in our swimming holes. But we don’t like insects that invade our homes, torment our pets, or abuse our farm animals. 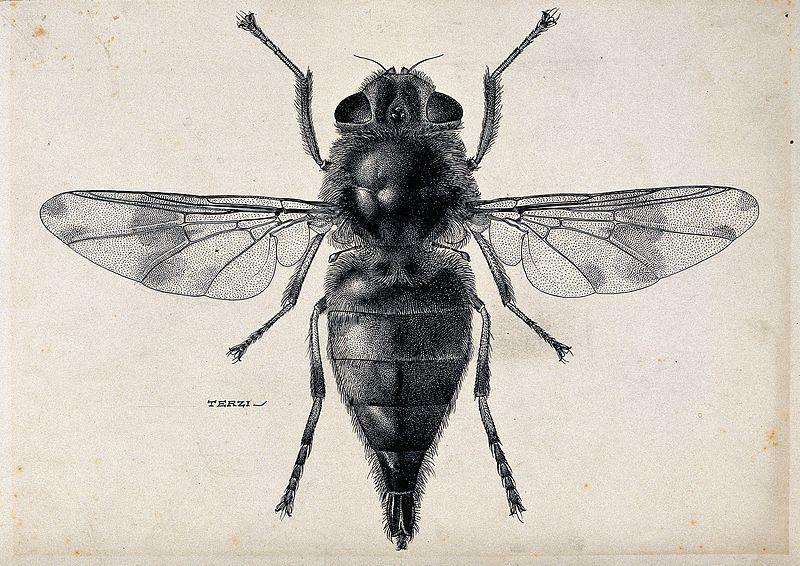 And we really dread one fly: the villainous bot fly (Family: Oestridae). When a horse encounters a bot fly, two things happen: the fly finds a warm place to lay her eggs, and the horse becomes her house. Soon after the female lays her eggs, they hatch, releasing numerous larvae. There’s a technical term for insect larvae that infect horses — myasis. 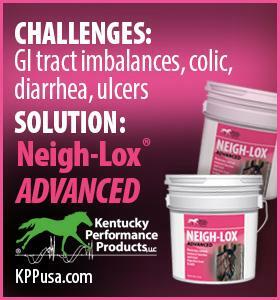 The three most common types of myasis in horses are: accidental (pseudomyiasis), facultative, and obligatory. In accidental myiasis, the fly larvae aren’t usually parasitic. In facultative myiasis, the larvae feed on living tissue, particularly in open sores. Of the three types of myiasis, however, the most dangerous and potentially life threatening are the obligatory larvae. You have to wonder if the first horse had to battle with bot flies. These insects co-evolved with the horse. No horse, no bot fly. That’s bad for the bot fly. On the other hand, horses can definitely live without bot flies. So where is the justice? Bot flies have robust, hairy bodies that give them the appearance of honey bees or bumble bees. Unlike honey bees or bumble bees, bot flies are always parasitic. If the horse dies, the bot fly dies, too. Entomologists spend years trying to understand the life cycle and behavior of insects. They study physiology, pathology, identification, and ecology. Yet, nothing prepares them for the day they meet a bot fly in the flesh, an animal that is so specialized that it only infects specific parts of the horse’s body: the gastrointestinal tract (Gasterophilus intestinalis DeGeer), the nose (Gasterophilus nasalis, Linnaeus), and the throat (G. haemorrhoidalis, Linnaeus). Horse bots aren’t merely bothersome, they’re downright dangerous. They can frighten horses, causing them to run away and get injured. 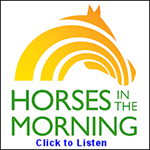 Infected horses lose weight as the larvae bores into its digestive tract. Soon the horse withers away. Some horses become so distraught from the flies that they just stop eating, with the same devastating results. In severe cases, larvae infestations can cause chronic gastritis, ulcers, esophageal paralysis, peritonitis, stomach rupture, squamous cell tumors and anemia. Short of killing the horse, it can be difficult to stop infestations. The most effective method is to break up the fly’s life cycle. Adult flies lay eggs on the horse’s lower front legs. Every time you’re around your horse, you need to look for yellowish bot eggs on their leg hairs. If you find eggs, sponge the area with warm water. The water stimulates the eggs to hatch, releasing the larvae, which then can be washed off. Unfortunately, washing isn’t terribly efficient because new eggs are deposited daily, especially during warmer months. In severe cases, it’s often necessary to resort to harsh chemical and drugs to stop the bot infection. There are other alternatives for controlling bot flies that are less dangerous than chemical treatments. Biological control uses other insects to parasitize or eat the bot fly eggs or larvae. Cultural control, such as manure management, pasture drainage, tilling paddock area to expose parasites and bot combs, may also reduce the number of bot flies congregating near the horses. Managing bot flies can be a Sisyphean task, particularly for amateurs. But all is not lost, because somewhere not far from you there lives an insect wrangler who can help you develop an integrated pest management (IPM) program that help you accurately identify which bot fly species you have, how to monitor them using entomological techniques, and how to control them before they become endemic. You can take comfort in knowing that your local entomologist is just a fly’s wing away. Marty Matisoff has a Bachelor of Arts in English from Western Illinois University with a concentration in Romantic Era literature and a Master of Science in Entomology from the University of Nebraska, Lincoln. He is a full-time research entomologist at Kentucky State University, as well as an art agent for his wife, award-winning figurative and equine artist Sharon Matisoff. In his free time, he enjoys writing flash and short story fiction, and he is studying clarinet with Los Angeles Jazz Saxophonist Robert Kyle.